MAPAS PG is designed to assist and support our Māori and Pacific students during postgraduate study. What is MAPAS Postgraduate Support? 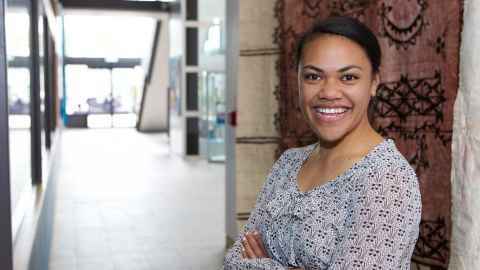 MAPAS Postgraduate Support provides a supportive environment where students, whānau and staff accept a commitment to academic achievement within a Māori and Pacific context. MAPAS Postgraduate Support offers a variety of resources, activities and opportunities for students to utilise during their postgraduate study. What does MAPAS Postgraduate Support offer? MAPAS postgraduate workshops for academic study, writing and research skills. Writing wānanga are offered as retreats for MAPAS postgraduate students to focus on their research and writing away from home and outside of the formal teaching space to minimise distractions. Targeted tutorials may be arranged for specific courses where MAPAS postgraduate students need additional support to understand course content. Cohort get-togethers provide an opportunity for MAPAS postgraduate students to get to know one another (whakawhanaungatanga) and network with fellow postgraduate students. • MAPAS postgraduate students have access to specific online resources to support them in their studies. Support and guidance to explore and apply for postgraduate scholarships and funding. Assistance to access key support services such as Student Health and Counselling, Student Learning Services, spiritual and religious support, Tuākana network, Student Disability Services and the Examinations Office. How do I register to receive MAPAS Postgraduate Support? Be admitted into a Faculty of Medical and Health Sciences postgraduate programme. Physical Address: Room 730. 207, Level 2, Building 730 Morrin Road, Auckland.